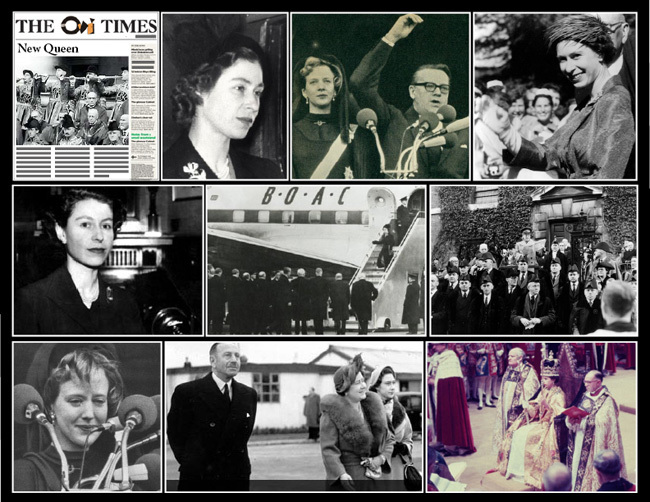 February 8th 1952; Princess Elizabeth formally proclaimed herself Queen and Head of the Commonwealth and Defender of the Faith. Lords of the Council - numbering 150 - representatives from the Commonwealth, officials from the City of London - including the Lord Mayor - and other dignitaries witnessed the accession of the deceased king's eldest daughter this morning. The new monarch read an official Proclamation - also ordered to be published - declaring her reign as Her Majesty Queen Elizabeth the Second.